« Citigroup April 1st warning – get out while you can! The 2/25/2010 Unemployment Insurance Weekly Claims Report for the U.S. Department of Labor states the following: In the week ending Feb. 20, the advance figure for seasonally adjusted initial claims was 496,000, an increase of 22,000 from the previous week’s revised figure of 474,000. The very next day, on 2/26/2007, the U.S. Commerce Department increases its “reading” of fourth-quarter gross domestic product to an annual growth rate of 5.9 percent, rather than the 5.7 percent pace it estimated last month. The unemployment increases and the U.S. Commerce Department says the growth rate is increasing – yeah, sure. The U.S. Spin Doctors claim such reasons for the “end of the recession” as “new orders for factories to fill inventory” – yeah, sure. Seventy five percent (75%) of the U.S. economy is driven by consumer spending. Add to the 496,000 people losing their jobs, the 100,000 new people coming into the workforce every month, and the total comes to 596,000 – essentially 600,000 less consumers. And the economy is growing? The loss of 600,000 consumers every month is all the proof needed that the recession Great Depression II rolls on – and on. “Pass the Healthcare Bill,” says Nancy Pelosi, “and we will create 400,000 new jobs” – yeah, sure. 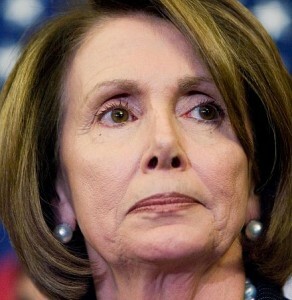 What’s a one-time shot at 400,000 jobs, when 600,000 become unemployed every month, Nancy? Spin on, Nancy – just keep lying to the American people. In testimony, on 2/24/2010, about monetary policy before the House Financial Services Committee Bernanke noted that the recession continues to abate, but not when it comes to the job market, which “has been hit especially hard,” he said. Huh? Continues to abate? But not when it comes to the job market? Does Bernanke make any sense at all? Spin on, Ben – just keep lying to the American people. Spin on, Barney – just keep lying to the American people. 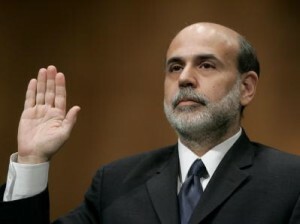 Then, to reinforce the spin, Frank asked Bernanke, specifically, whether stimulus helped stem job losses. Bernanke answered “Yes,I think most economists would agree that the stimulus created jobs, relative to the baseline,” Bernanke said. Relative to the baseline – what’s that? That’s spin – lying to the American people. In Singapore, we’ve noticed the presence of more Africans. Elsewhere, there are rumours (?) that the European Union are going to open the floodgates to Africans. Will it be the USA’s turn next or has it already happened?